Each UP will come from a different account with a unique USA / EU IP. Please state what speed you want for the votes. All at once, 1 vote every x seconds etc. Take in consideration in what kind of subbreddit your posting. If it's a small one, I recommend asking for slow votes. Also take in consideration fast votes might partially drop. I recommend asking for 1 vote every 30 seconds or so. Your call. Doesn't matter in what kind of subbreddit your thread is Beauty, Design, Tech , Celebrity , Acting etc. For Reddit is recommended for the votes to start coming in constantly as soon as the Thread is created. Prepare your reddit thread and link it to me! Enjoy your votes. Depending of the popularity of your subbredit and the number of votes, your thread might make it in the TOP section! You can split your votes when buying more to different threads. 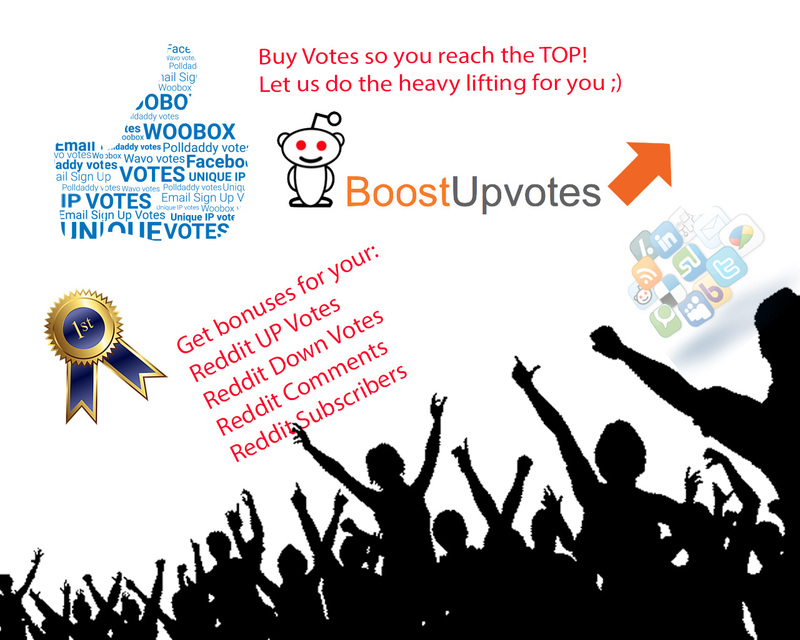 ex: buying 500 votes, with bonus your getting 625 votes , and for ex: your sending those votes to 6 reddit threads! If you need other things ( comments, subbredit subsribers,) any other request please contact us first prior to ordering so we can agree on a quote! For comments you have to buy the extra. And you have to provide the comments in txt file ( 1 comment per line). The comments will be drip feed with the speed According to your request. Each comment will be posted by a unique account from a unique IP. 50 Reddit Up Votes. 10-25 percent bonus votes! Hot! Drip FEED! Post or Comments is ranked 5 out of 5. Based on 6 user reviews.